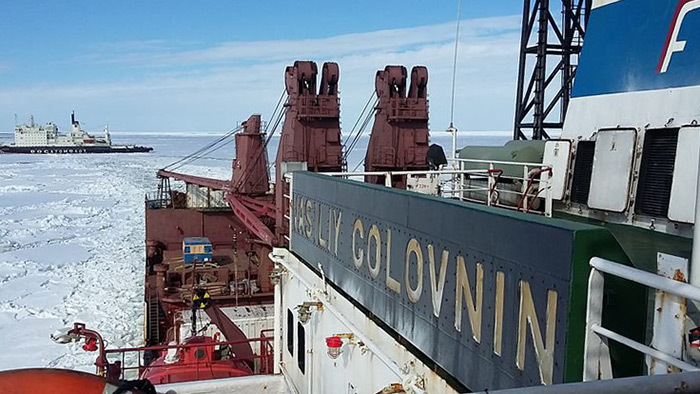 FESCO says its diesel-electric ship Vasiliy Golovnin made voyage to the Western Arctic. 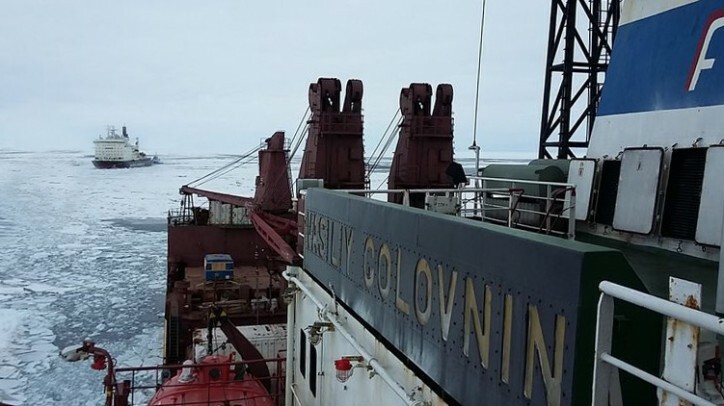 During this voyage the vessel discharged at the Golomyanny island (Severnaya Zemlya Archipelago) about 2 176 tons of cargo: building materials, equipment and machinery. Loading was carried out at the port of Arkhangelsk on May 14, 2016, and on June 1, 2016 the vessel unloaded on the Golomyanny island. The transition from the edge of the ice field to the archipelago took place in two stages, together with Rosatomflot atomic icebreakers Vaygach and Yamal. Discharge from board to the fast ice and unequipped shore was accomplished by Vasiliy Golovnin crew and charterer’s representatives. Currently, the diesel-electric ship Vasiliy Golovnin, piloting by Yamal, is going to the port of Arkhangelsk, where it will be around June 9, 2016. 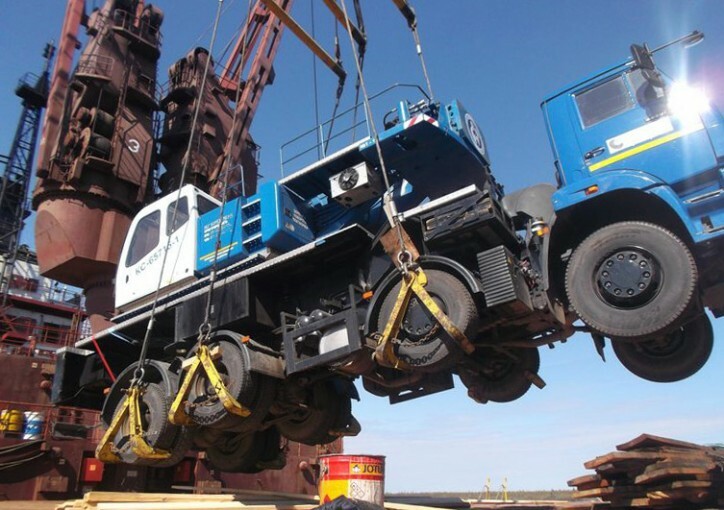 FESCO is one of the leading privately-owned transportation and logistics companies in Russia with operations in ports, rail, integrated logistics and shipping business. Diversified but integrated asset portfolio enables FESCO to provide D2D logistics solutions and control almost all steps of the intermodal transportation value chain. The majority of FESCO’s operations are located in the Russian Far East and the Group benefits from growing trade volumes between Russia and Asian countries. FESCO controls the Commercial Port of Vladivostok. The Company is one of Russia’s top 10 private railcar operators providing services under the brands Transgarant (100%) and Russkaya Troika (50% JV with Russian Railways). FESCO owns and operates a fleet of 22 cargo ships and four icebreakers (in long-term time-charter).